Rose Coschignano/Pipe Dream Photographer Molly Patterson, an assistant professor of geological sciences and environmental studies at Binghamton University, participated in a scientific research project called Subglacial Antarctic Lakes Scientific Access (SALSA). Not many people can say they have visited Antarctica, but Molly Patterson spent part of her winter break conducting research on the southernmost continent. In December, Patterson, an assistant professor for geological sciences and environmental studies at Binghamton University, participated in a scientific research project called Subglacial Antarctic Lakes Scientific Access (SALSA). The project aimed to achieve a better understanding of interactions between the Antarctic ice sheet and the rivers and lakes that exist beneath the ice. “In a very simplistic statement, we drilled into subglacial Lake Mercer, which is part of the West Antarctic Ice Sheet, and are attempting to examine how the breaking up of rocks by active glaciers provide the [remobilization] of very old organic carbon to promote life in extreme environments,” Patterson wrote in an email. The project involved a team of 50 scientists, support staff and technical staff using specialized tractors, sleds and ski-equipped aircrafts to establish a remote field camp roughly 500 miles from the South Pole. Once there, researchers explored the Mercer Subglacial Lake, which lies beneath West Antarctica’s Whillans Ice Plain and is over twice the size of Manhattan. Using hot water to drill through the ice, the team was able to gather clean samples of lake water, ice and sediment. They also filmed video underwater, capturing footage of an environment that has been isolated from the ocean and atmosphere for millennia. The project was funded by the National Science Foundation. Patterson got involved with SALSA in January 2017 while she was on another expedition with a team of scientists that sailed to the Ross Sea as part of the International Ocean Discovery Program. 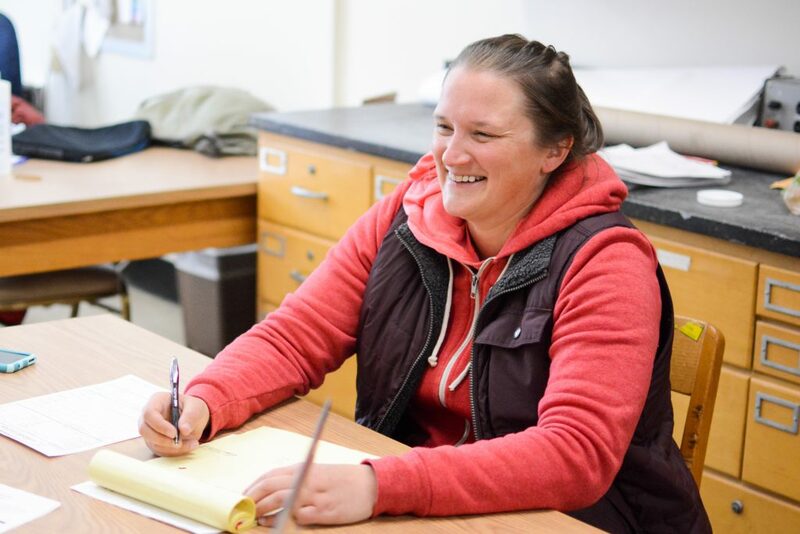 Her role in this expedition involved recording the sediments scientists were recovering from the continental shelf, adjacent to the Ross Ice Shelf, to gain a better understanding of how these sediments were laid down by the interactions of ice sheets and organic processes. According to Patterson, the project was logistically daunting. It required researchers to set up the camp a year in advance and brave Antarctica’s uncontrollably harsh weather conditions for two months without close contact to family. Nevertheless, for Patterson, the project was rewarding. “Sometimes science can be petty, isolating and ugly, but this experience truly made me realize the best results come from working as an integrated community with diverse ideas and approaches which ultimately culminates in finding unique solutions and carrying out groundbreaking science,” Patterson wrote. According to Patterson, SALSA involved both discovery and hypothesis-driven science, integrating multiple fields, including biology, geology, glaciology and hydrology, in its research, which could provide context for understanding the impacts of climate change. By paying special attention to previous conditions of Antarctica, Patterson hopes to discern the continent’s future in a world where temperatures are rising.